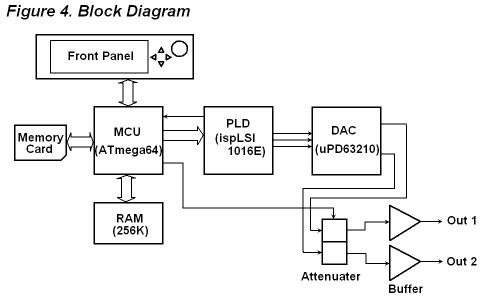 The MAX705CSA is a microprocessor (μP) supervisory circuit which reduces the complexity and number of components required to monitor power-supply and battery functions in μP systems. The device significantly improves system reliability and accuracy compared to separate ICs or discrete components. The applications of the MAX705CSA include Computers, Controllers, Intelligent Instruments, Automotive Systems, Critical μP Power Monitoring. MAX705CSA absolute maximum ratings: (1)VCC: -0.3V to 6.0V; (2)All Other Inputs: -0.3V to (VCC + 0.3V); (3)Input Current, VCC: 20mA; GND: 20mA; (4)Output Current (all outputs): 20mA; (5)Continuous Power Dissipation, Plastic DIP (derate 9.09mW/℃ above +70℃): 727mW. MAX705CSA features: (1)μMAX Package: Smallest 8-Pin SO; (2)Guaranteed RESET Valid at VCC = 1V; (3)Precision Supply-Voltage Monitor, 4.65V in MAX705/MAX707/MAX813L; 4.40V in MAX706/MAX708; (4)200ms Reset Pulse Width; (5)Debounced TTL/CMOS-Compatible Manual-Reset Input; (6)Independent Watchdog Timer—1.6sec Timeout (MAX705/MAX706); (7)Active-High Reset Output (MAX707/MAX708/MAX813L); (8)Voltage Monitor for Power-Fail or Low-Battery Warning. The figure shows the MAX773 connected to provide 100-V output at 10 mA, with 24-V to 28-V input. Figure shows the calculations for selecting the RSHUNT vaLue. RSHUNT should be selected so that ISHUNT is greater than 1 mA, but less than 20 mA. If the calculated shunt regulator current exceeds 20 mA, or if the shunt current exceeds 5 mA, and less shunt-regulator current is desired, use the circuit of Fig. This provides increased drive and reduced shunt current when driving N-FETs with large gate capacitances. Use an ISHUNT of 3 mA. This provides adequate biasing current for the circuit, although higher shunt currents can be used. Notice that the shunt regulator is not disabled in the shutdown mode, and continues to draw the calculated shunt current. To prevent the shunt regulator from drawing current in the shutdown mode, place a switch in series with the shunt resistor.See Fig. for component suppliers.